Morrow County administrative offices are located at 80 North Walnut Street, Mount Gilead, OH 43338; phone: 419-947-4085. Photo: Morrow County Ohio Courthouse, ca. 1848, Derek Jensen, photographer, 2005, en.wikipedia.org, accessed July, 2012. The courthouse was listed on the National Register of Historic Places in 1974. 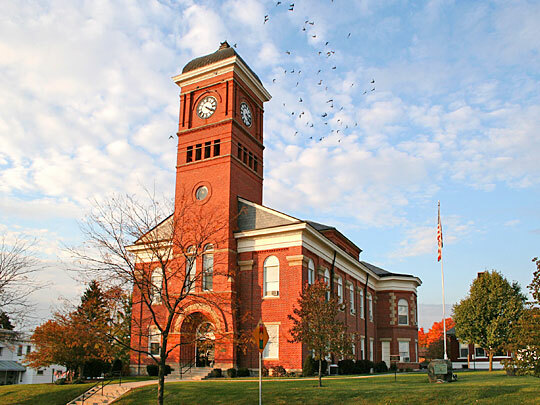 Established in 1848, Morrow County was formed from parts of Delaware, Marion, Knox and Richland counties. It is named for Jeremiah Morrow who served as Governor of Ohio from 1822 to 1826.